Scott Kendall has not selected a Travel Agent yet. 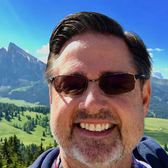 As a freelance travel writer, photographer, videographer, and former Navy Lieutenant Commander, I have been fortunate to travel and write extensively throughout the United States and Europe. Scott hasn't added any Interests yet.